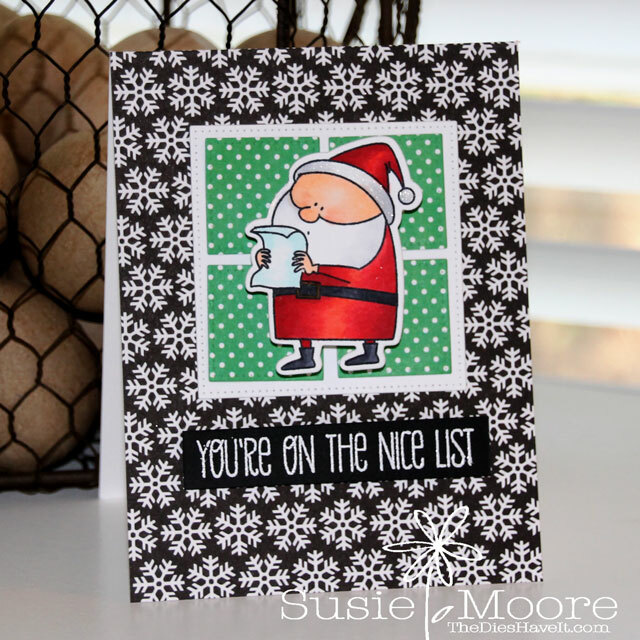 Here's a fun Christmas card for you starring Santa (from MFT Stamps). At Christmas Stampin' All Year Long we deliver a twice monthly challenge to you and if you play along, you will have plenty of cards completed when December rolls around again. And it will be here before you know it! This particular challenge is ANYTHING GOES! I thought it would be fun to make my Santa a bit more interactive, so I placed him on an Action Wobble. Can't wait to send this one to one of my grandchildren! 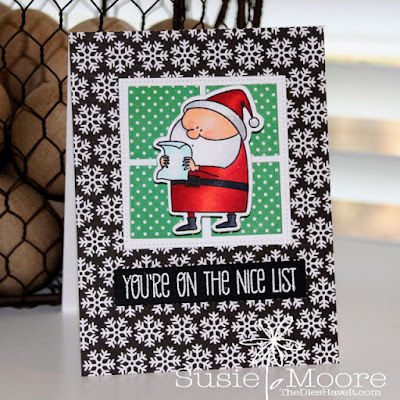 You can link up your creation at the Christmas Stampin' All Year Long blog. You have until midnight August 18, 2015 to link up. Have fun and I'll see you over at the blog. PS: I used this week's MFT Stamps Creative Sketch to make my card, so I thought I would enter it over there too. OOOOOOhh...I love this santa so much! this card makes me happy. Love this card. Very cute, and those Santa images are the best. I wobbled that very same image a few weeks ago! Love your background on this card.